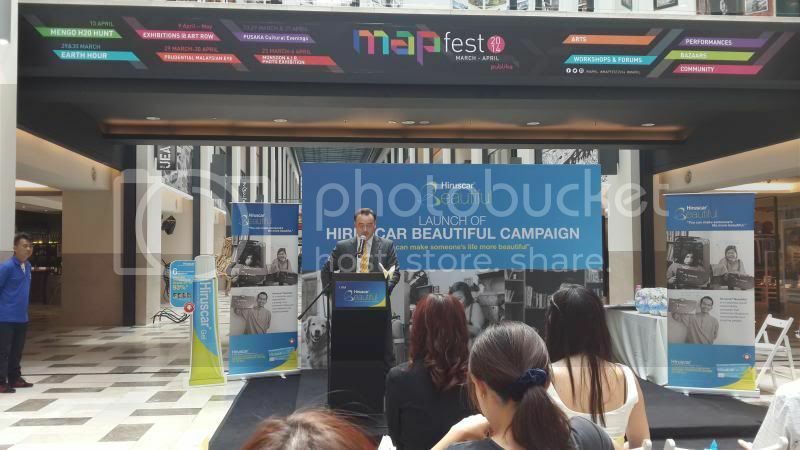 Medinova AG, Switzerland launched Hiruscar Beautiful, a corporate social responsibility (CSR) campaign that recognizes Malaysia's 3 most 'beautiful" people at Publika last week. Hiruscar is a revolutionary gel with unique Swiss formulation designed for rapid and easy scar care. 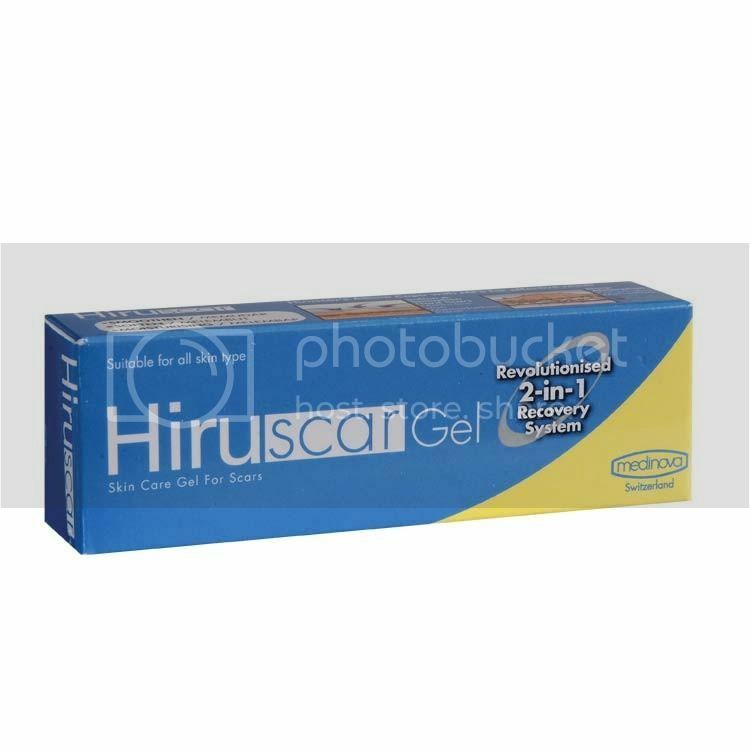 Hiruscar is a revolutionary gel with unique Swiss formulation designed for rapid and easy scar care. Hiruscar gel is clear, quick-absorbing, non-greasy and film-free for smooth application. Made with 5 natural and scientifically tested ingredients which are MPS, Allium Cepa Extract, Vitamin E, Vitamin B3, Aloe Vera, Allantoin, Hiruscar helps to lighten, smoothen and flatten scars effectively. Hiruscar works well on all types of scars. The campaign contained a search for inspiring "scars with stories" by inviting over 400 doctors, pharmacists and editors. This was followed by a photographic autobiography of the nominess' lives, which was exhibited and shared in conjunction with the launch of the Hiruscar Beautiful campaign. Dr Marc Michel Franck, Vice President, Heathcare of DKSH Malaysia Sdn Bhd gave his welcome speech. According to Miss Pamela Tan, Regional OTC Marketing Director, Medinova, her team is very pleased to have found three beautiful individuals - Jenny Pong Seow Chin, Keisha Somasundram Petrus and Dr Ahmad Anas Bin Abdul Majid. These 3 Hiruscar Beautiful awardees will each receive a token of RM8000 along with the opportunity to be an inspiration to others through the support of the Hiruscar Beautiful campaign. Miss Pamela Tan gave her speech. 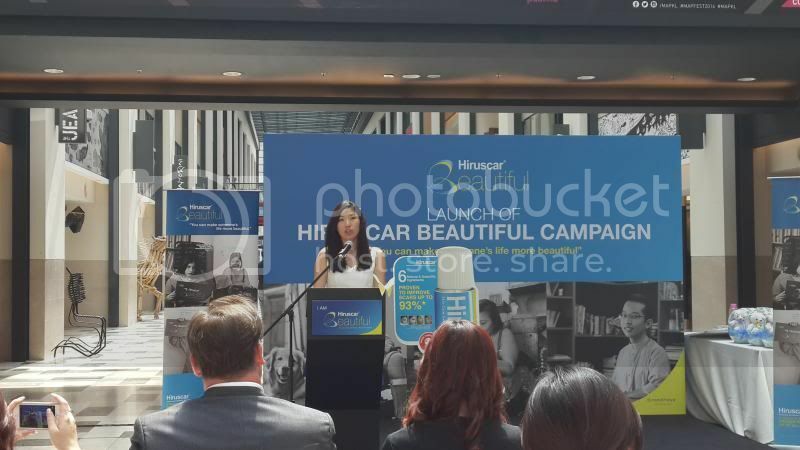 Miss Pamela also added that Hiruscar Beautiful campaign does not seek to erase a person's past; instead helps to make their journey more "beautiful" by inspiring individuals to take charge of their own lives. 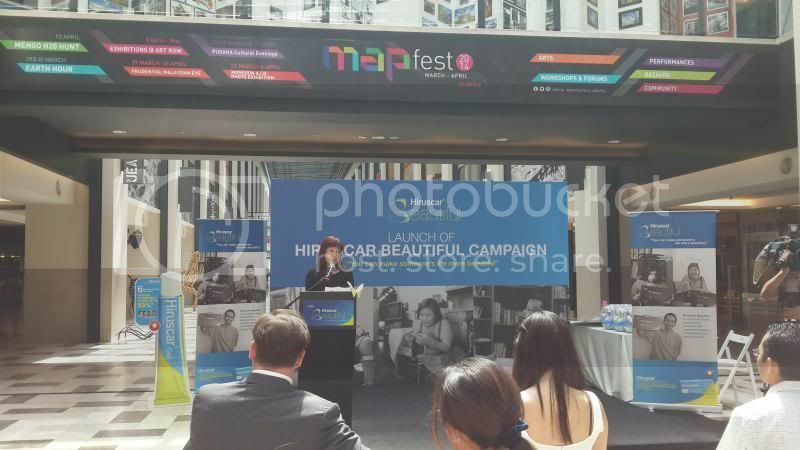 Miss Desryne Heng, Senior Product Manager of Hiruscar of DKSH Malaysia Sdn Bhd gave her speech. YB Senator Bathmavathi Krishnan, a disability advocate also present on that day to officiate the Hiruscar Beautiful Campaign. She mentioned that experiences make them stronger and scars make them who they are today. YB Senator Bathmavathi Krishnan officiated the campaign. 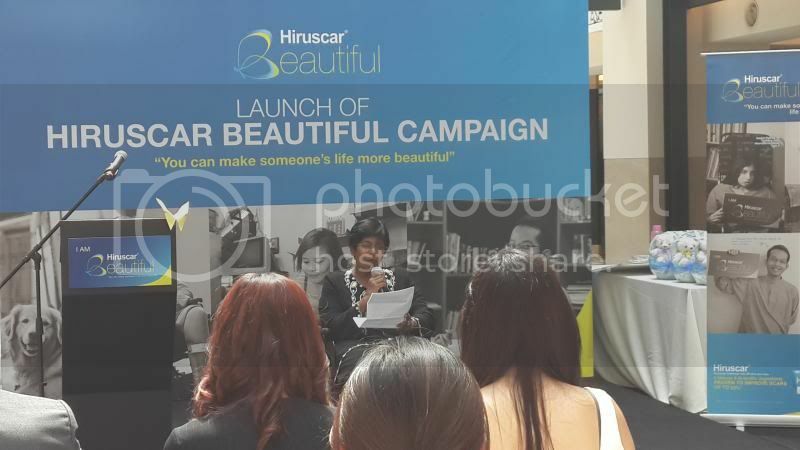 "Hiruscar Beautiful is a tribute to those facing challenges in life because the journey only becomes more beautiful when you begin to accept all that life offers you with courage, grace, empathy and understanding," she said. Jenny Pong had both legs amputated and has not been able to sit for 25 years. Even though bruises and scars continue to be a part of her daily life, she continues to give inspiration to others by giving talks on her story of 'scars'. Jenny is the Vice President of The Hope Era, a society for disabled citizens and shares her experience of maintaining optimism in extreme circumstances. The medical graduate from the International Islamic University Malaysia was 14 years old when he was involved in a traffic accident. As a result, Dr Anas sustained second and third degree burns on 45% of his body. He endured repeated split skin grafting surgeries for 4 years, but firmly believes that there is always a light at the end of the tunnel. The psychology student Keisha Petrus who is currently studying at SEGi University College is living with Neurofibromatosis Type 2 (NF2). NF2 is a genetic condition which causes non-cancerous tumours to grow in the nervous system. The treatment contains surgical operations, radio surgery sessions as well as chemotheraphy and left her wheelchair-bound, deaf and scarred. She focusses on her energy on taking small steps and supporting those with similar condition. 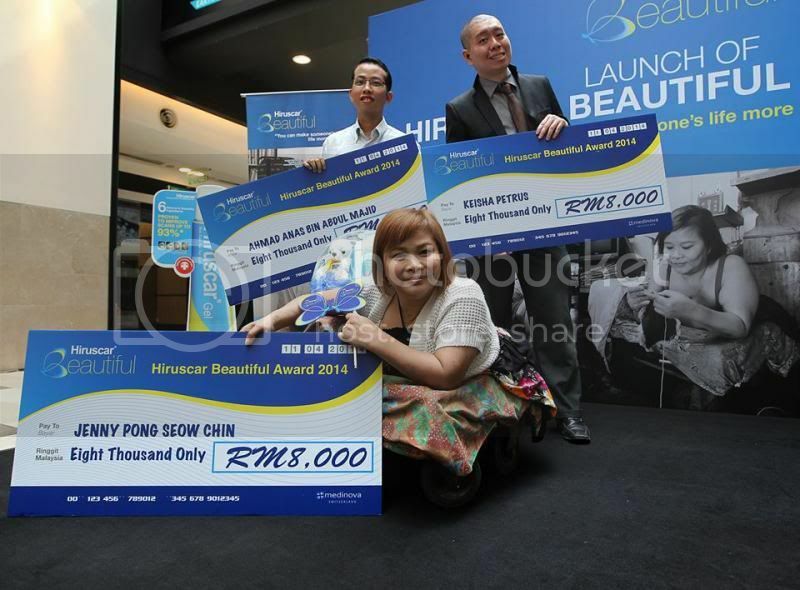 The awardees (L-R Clockwise): Dr Ahmad Anas, Mr Tan (representation of Miss Keisha) and Miss Jenny Pong. Photo credits to Hiruscar Malaysia FB page. 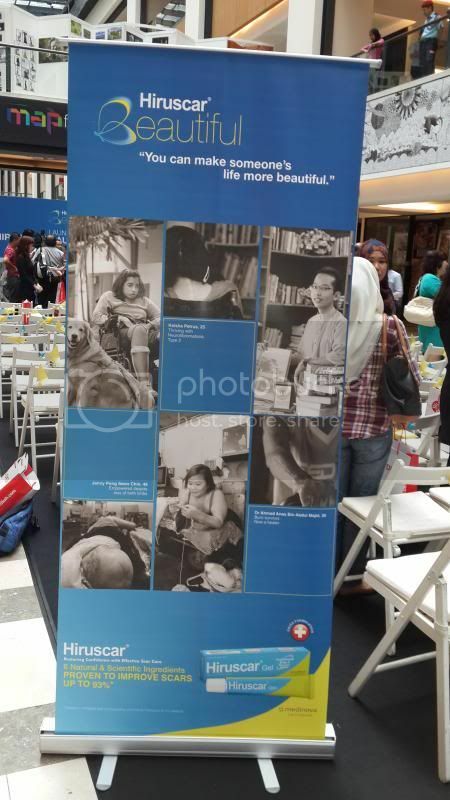 The public is invited to view the photography exhibition which documents the daily lives of the 3 awardees at Publika, Blue Concourse at Level G1 from April 12 to 20 and Level G3 from April 21 to 24. 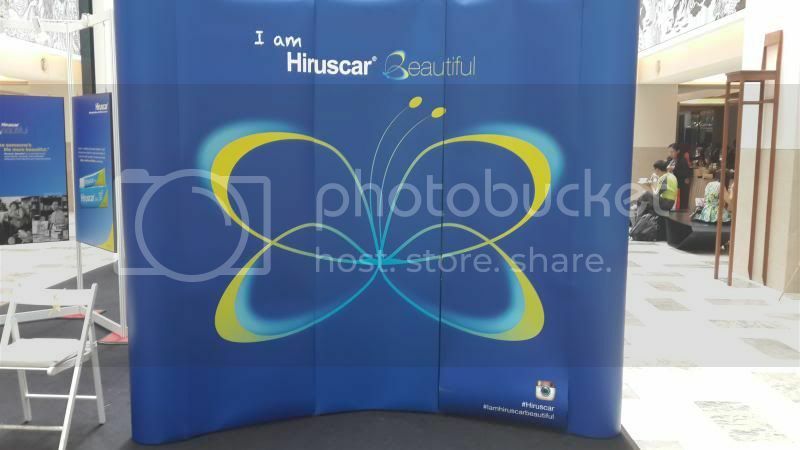 The photographs can also be viewed online at www.facebook.com/Hiruscar.Gel.Malaysia.